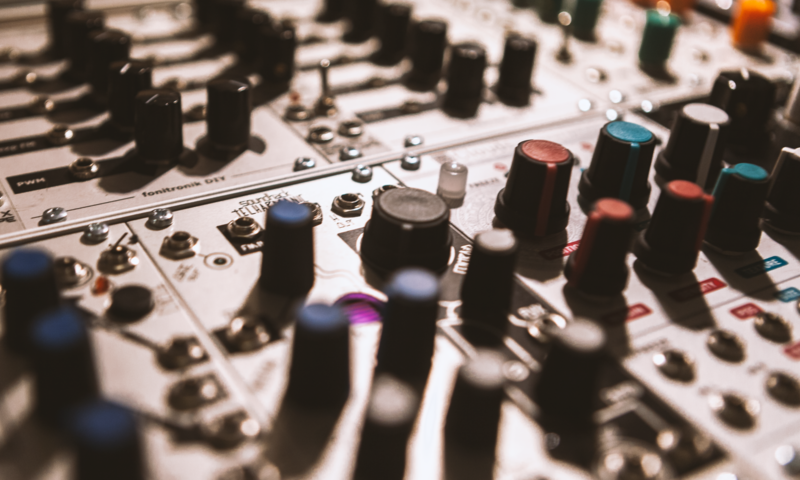 Oscillations & Modulations is a two–day festival of synthesisers and electronic music, which took place 20th–21st March 2018 in various locations throughout the city of Derry. The festival sought to celebrate and explore an expanding ecosystem of electronic music culture, joining the dots between the music makers and teachers, synthesiser designers and performers, music studios and music spaces that help to shape and inspire the musical landscape of the city and beyond. Free open days at a number of local music studios, including Movin’ Music Academy and Celtronic Studios (more to follow). This event was a collaboration between the School of Arts and Humanities at Ulster University, Magee campus, Movin’ Music Academy, Celtronic Studios, Cultúrlann uí Chanáin, the Inner City Trust, Culture Glitch Records, Abbazappa Record Shop, St Jude Coffee and the Yellow Yard. We hope to run similar events in the future; feel free to check back, or to contact us. We are grateful to the Provosts’ Outreach Event Fund/Higher Education Innovation Fund for their support of this event. Oscillations and Modulations is a Hearts of STEM event, organised by Ulster University, Magee campus, and partners.